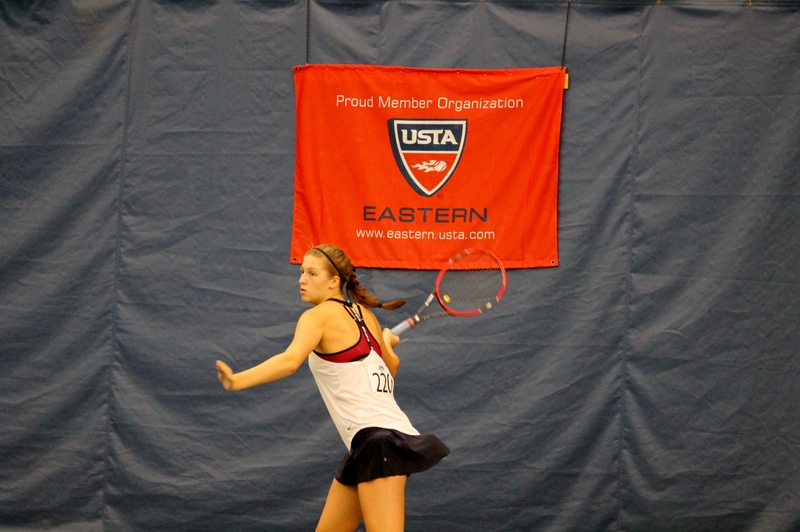 USTA Eastern hosted its 31st Annual College Showcase Day at the Saw Mill Club in Mount Kisco, N.Y., which drew more than 70 of the top high school tennis players in the Northeast to come to connect with 50 college tennis coaches from Division I, II and III collegiate programs. The Showcase provides these college-bound players an opportunity to show off their competitive skills by playing abbreviated matches against their peers while college coaches observe their play. The Day is also a venue for players and their parents to connect with college tennis coaches, collect information on schools and take seminars and clinics from tennis experts who have navigated the college recruiting process and carved out a career in tennis. 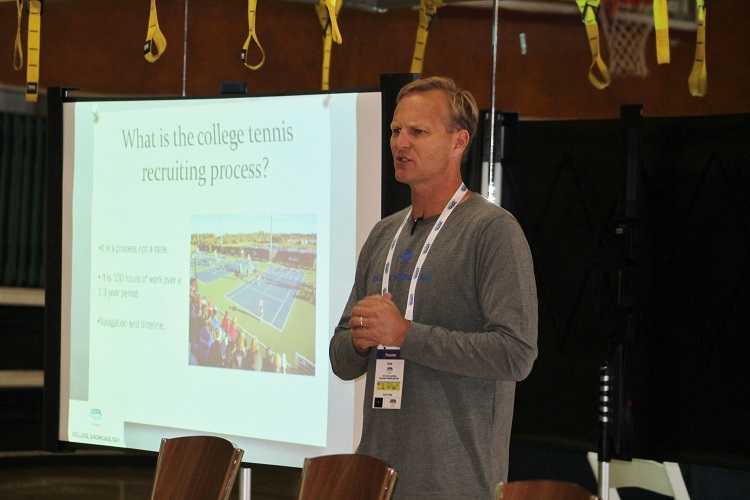 One of those tennis experts was USTA National’s Scott Treibly, who has more than 20 years of experience in college recruiting as a player, coach and administrator, and has placed hundreds of student athletes in colleges with the goal of finding the right fit for that player. Treibly spoke to players and their parents about athletic and educational aspects of college recruiting. Scott Treibly talks to players and parents about the college recruiting process. In between seminars, players headed on court to compete in matches while the college coaches made their way throughout the various courts to evaluate players. To help the players and parents understand the academic side of the college recruiting process, Joe Consentino, the Director of Undergraduate Admissions and Enrollment at Manhattanville College, gave a presentation on the admissions process, which can vary from one school to the next. Consentino also discussed academic qualifications such as essay writing and SAT/ACT scores. Former Columbia standout and current tour player Max Schnur was also on hand to provide a clinic for the coaches in the morning. Schnur, who owns five doubles titles on the ATP Challenger Tour, discussed the keys to doubles play and stayed on hand afterwards to answer questions from players and coaches and everything from doubles play to navigating the college landscape. Former Columbia standout and current professional player Max Schnur put on a doubles clinic for the college coaches in attendance. 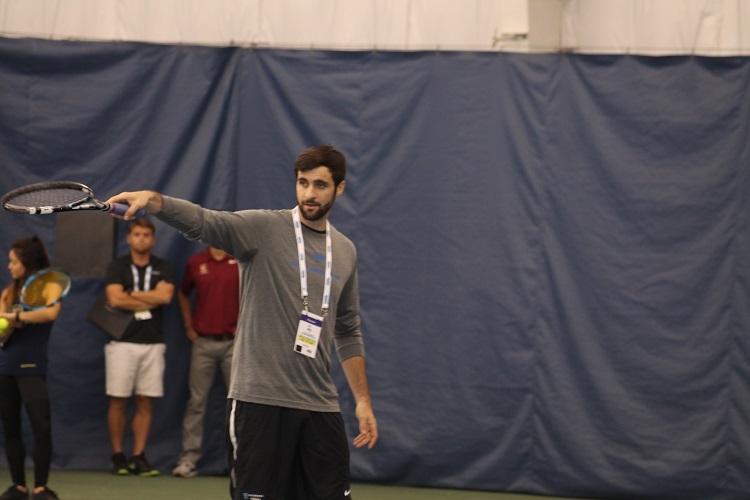 For more than three decades, the College Showcase Day has been an invaluable resource that USTA Eastern has provided to college-bound players and coaches.